A new patented laser procedure is now available to treat toe fungus safely and painlessly. How does the laser work? 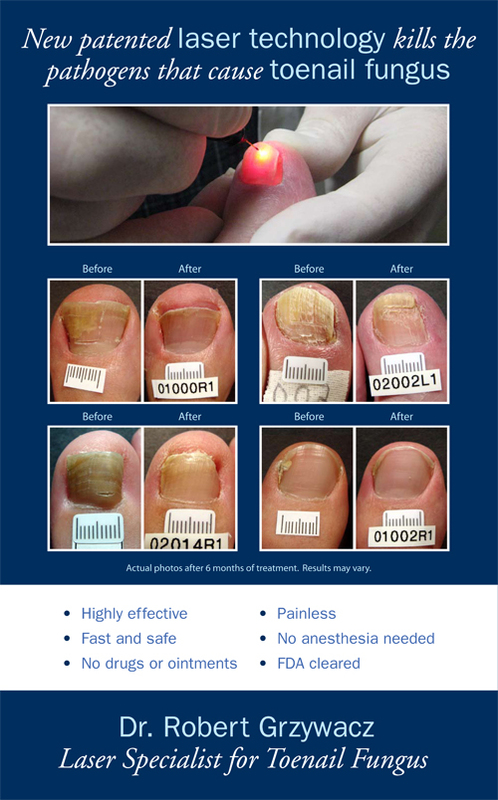 The laser is a specially designed, patented device that shines through your toenail and vaporizes the germs embedded in your nail bed and nail plate that causes toenail fungus. The laser light beam has no effect on healthy tissue. There is no discomfort during or after the treatment. Does my insurance pay for this? Currently this procedure is not included as a health insurance benefit. At the time of your first visit you may pay cash or use a credit card.